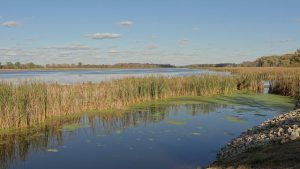 On Tuesday, Senate Republicans approved a controversial plan to deregulate a large number of smaller Michigan wetlands, streams and inland lakes, championing personal property rights despite environmental concerns. Senate Bill 1211, what’s been called the Wetlands Destruction Act, passed (23-14). This bill is now headed to the state House, and a final vote is expected to happen soon. We need your help. Michigan’s wetlands are important to wildlife, people, the environment, and the economy. Michigan Audubon is opposed to Casperson’s Wetlands Destruction Bill, SB 1211, and is asking its members, partners, and supporters to contact their legislators directly and urge them to vote no on this bill. In 1991, it was estimated Michigan had already lost over 50% of original Michigan wetlands to draining or filling. SB 1211 would amend a statute of the 1994 Natural Resources and Environmental Protection Act, which was created to protect our wetlands and preserve the benefits we receive from them, including lessening the economic impact of flooding. SB 1211 would effectively remove protections of 70,000 Michigan wetlands. Wetlands provide vital habitat for a plethora of native birds and wildlife that need our protection. Half of Michigan’s bird species — as well as every species of amphibian — relies on wetlands. Wetlands are important to public health, as they filter our lakes and streams and ensure healthy water systems. We can’t afford to lose this critical habitat. Michigan’s own Department of Natural Resources published this article, Wetlands a vital resource for Michigan’s wildlife, environment, citizenry, in 2017. We stand up for our remaining wetlands and stop this bill from passing. Write to Governor Rick Snyder and urge him to oppose and veto this bill if it passes the state House. Thank you for speaking out for birds, wildlife, and for Michigan’s beloved wetlands, lakes, and streams!